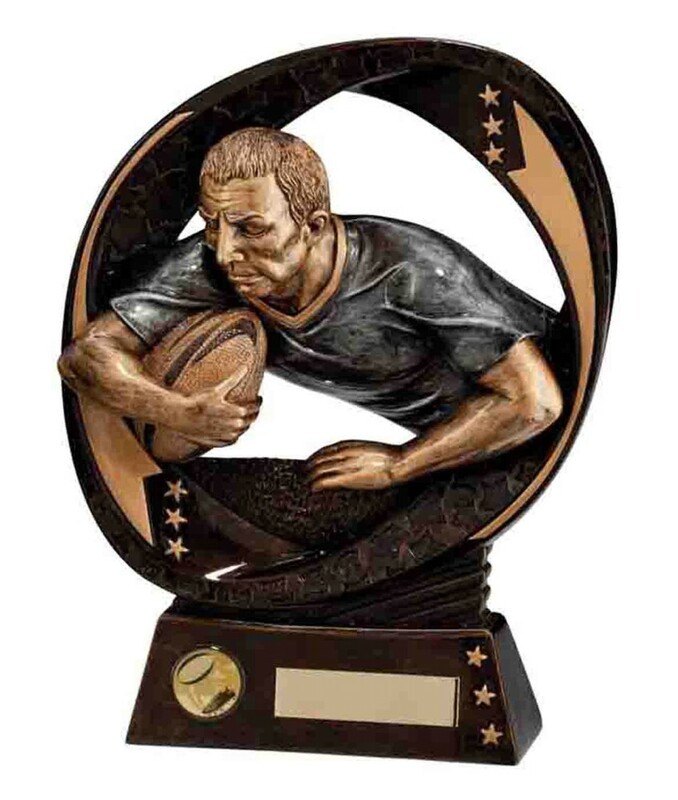 Typhoon Resin Rugby Player Trophies. Antique bronze with gold and antique silver detail. Available in 5 sizes, 90mm, 130mm, 170mm, 190mm and 230mm high. A great statement award for your players.